Pets are the basic needs for some people in the world. 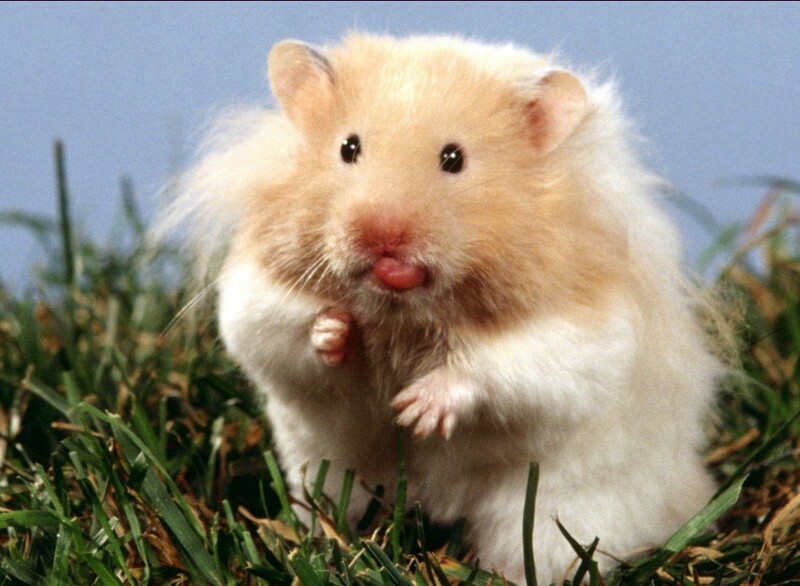 Pets can reduce the boredom, and gain moods of someone. A lot of people claim that pets are one of their family. The research found that having pets can eliminate the pressure of life and makes someone feel better when they with their pets. 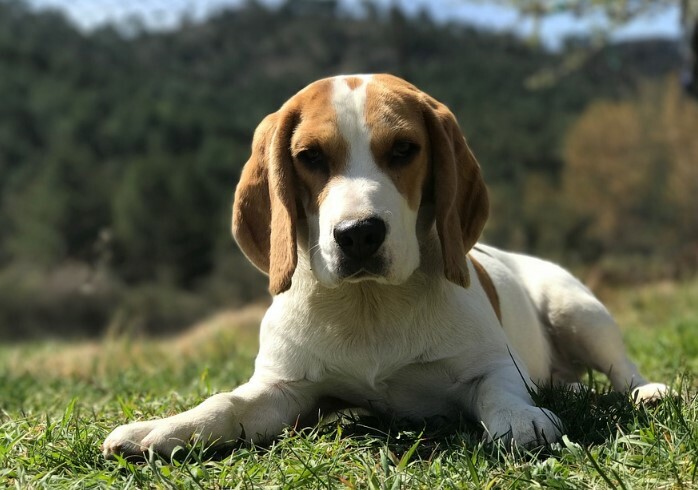 Human are generally treated pet because of their characteristic which it royal to their owner, their attractive appearance, their voices, and their acts can make people happy. 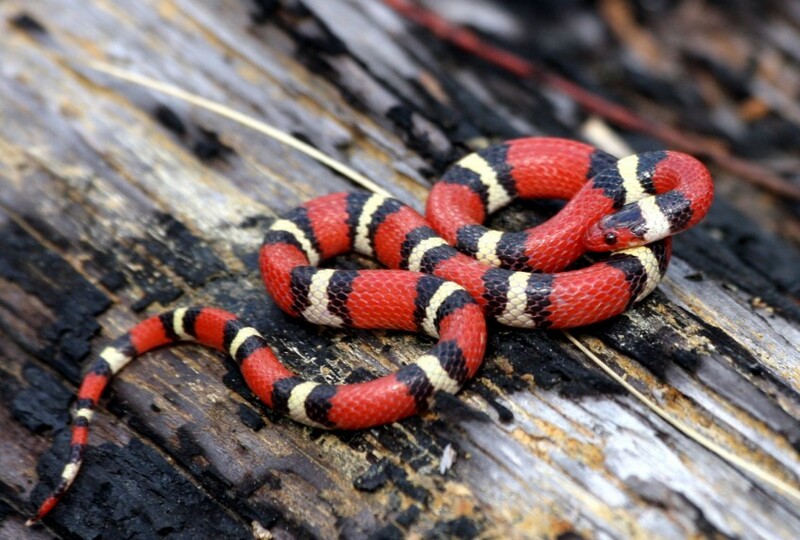 There are commons animal that people can adobt, such a cat, dog, bird, snake, rabbit, fish, and so much more. Give our love to pets can makes our heart feels better and warm. And it affect the quality of sleep. 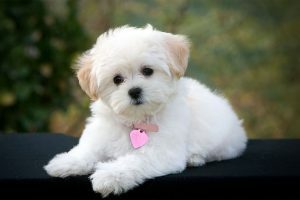 Behind your reason to having a pet, you are actually give your love to your pets, you willl care and maintance your pets. The research put fowards in Journal of Personality and Social Psychology proved that they are who had pets will feels more confidence and never feels lonely than people who don’t have a pet. Based on reaserch which is conducted from University of Warwick, the kid in an environment family who has pets would rarely sick than they are who not. Doing a daily work with your pets are proven can makes your mood feels so much better. Only by giving caresses to them, you feel calm. Indirectly, having pets give positive effects for us, and it also good for our health. But there are some people who adobt or having pets which it not usually common pets. How does if it actually a caracal? 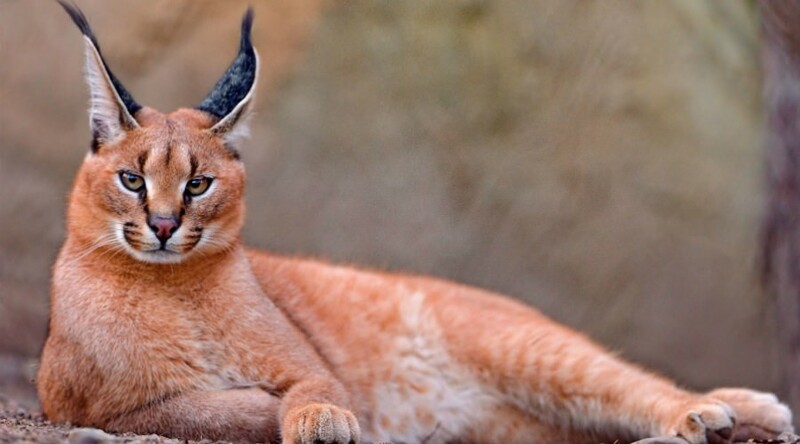 Maybe some people do not know what is Caracal. The caracal is a medium sized cat which it spread in West Asia, South Asia, and Africa. 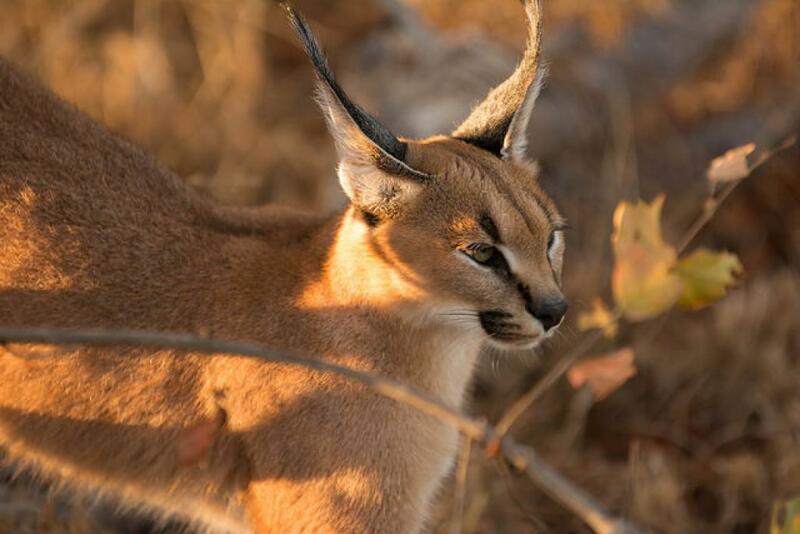 The word Caracal is from Turkey “Karakulak” which means “Black Ears”. The caracal can live for 12 years in wild nature, and can live longer in captivity for 17 years. The caracal can survive without drink for a long time, suffiecient waters are with their prey body fluids. And it also suprisingly knowing that the caracal are easy to tamed, and people used The Caracal for the hunting cat in Iran and India. Like cats in general, The Caracal mark their territory with smells. They left their poops in the place location that can be seen. But the question, is can The Caracal be a pet? Eventhough The Caracal including of wild animals, but these cats can be pets. The Caracal are also including of cats that easy to tamed, that is why people can adobt them. The caracal’s favorite food is birds, eventhough they can sometimes eat rodents. They have a unique ability to hunt birds down, they can hunt up to 12 birds at a time. This is quite an achievement considering the fight or flight instincts that birds and other flying species have. Just like the other cats, the babies Caracal is really cute. 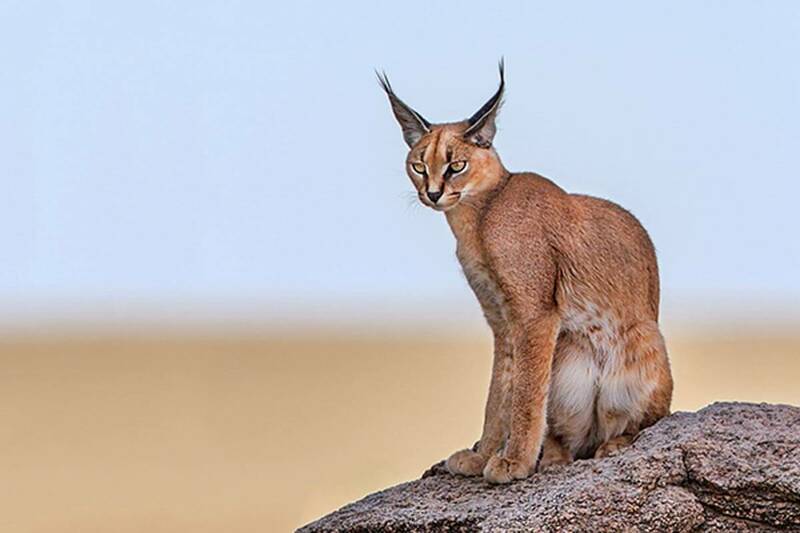 People can start adobt the Caracal when they are still kitten or else because it might be easy to tamed them, because as we know that the Caracal is a wild animals, they should live in wild nature, and their instinct must be strong. Maybe there is one thing that makes people feel bored with The Caracal, they only have one colour, they do not have any colour anymore. The Caracal is an exotic pet, that is why the price of these cats are very expensive. 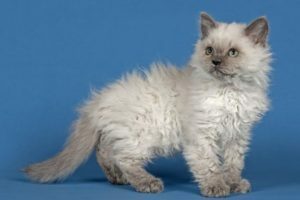 However, for more adventurous pet owners, with the right income, living situation, and permits, they can be exceptionally rewarding. Electing to care these cats is life changing and it is not a decision to be taken lightly. The costs that must we spend to buy The Caracal is $7.000 till $10.000 for the babies and $15.000 for an adult. They mostly communicated by hissing, which can sound threatening. This means that The Caracal have a somewhat traditional cat like attitude. They play and interact with their owners on their terms. But in one condition when The Caracal do play, they are rambuntious and destructive with average household objects and furniture. The Caracal can be domesticated, however they are wild cats, The Caracal can be tamed and live with humans but do not expect them to behave like chilled out like usually cats. They belong to wild nature and that is where they are supposed to be. The wild is their home. They can live in appartement but maybe The Caracal would probably drive you mad. Because once again, they are a wild animal. We can live with The Caracal easly when we live in Africa, because there is their hometown. 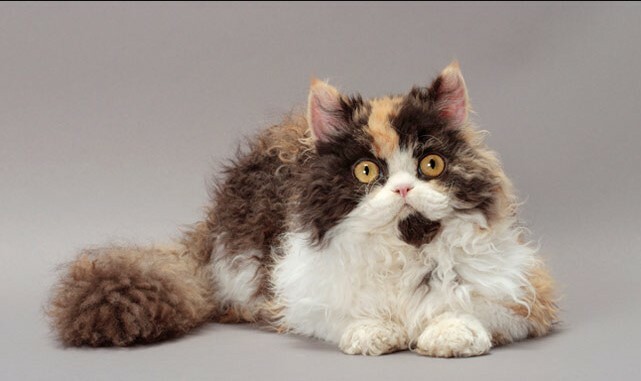 We can adobt cats like these, as long as our point is to keep them save and to protect the environment and we are not to torture them caused separate them from their nature. And do not torture them in a way to force them to do what they not should do, like a circus or some match who involving The Caracal on that. The Caracal are cats but a different cats, treat them what should be they get treat. They easy to trained and tamed that is why it’s easy to adobt them to be your pets, but however we must becareful on them. 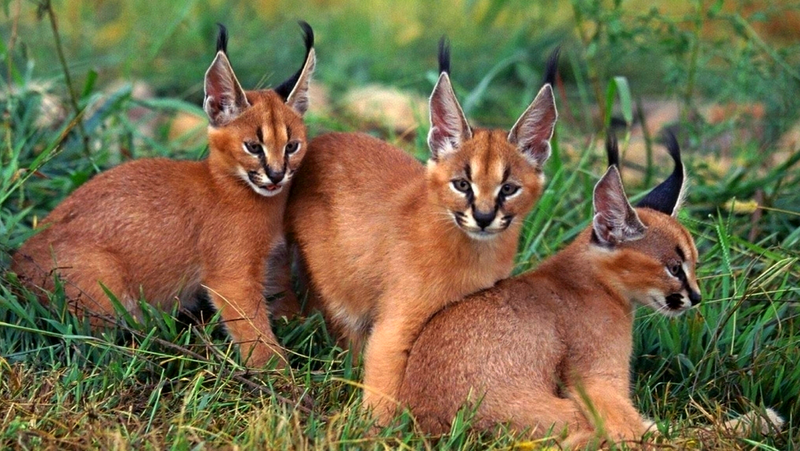 We must help their survival because knowing that The Caracal included in the list of rare animals. Do not be asber or selfish adobt them without think about The Caracal survival. They are parts of earth, we need to save and keep each other. And we live in the same earth. And like a generally cats, The Caracal is also cats. They will love you once you give them your love. And they would treat their owner more than anything. 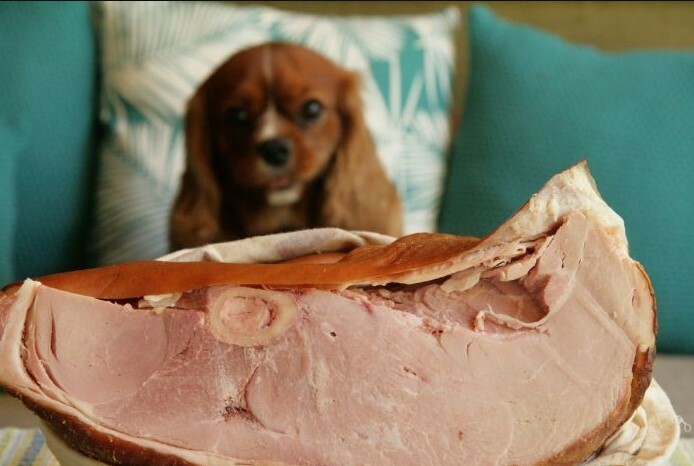 Can Dogs Eat Ham? Can Dogs Eat Ham Bones? Is it Bad For Dogs?